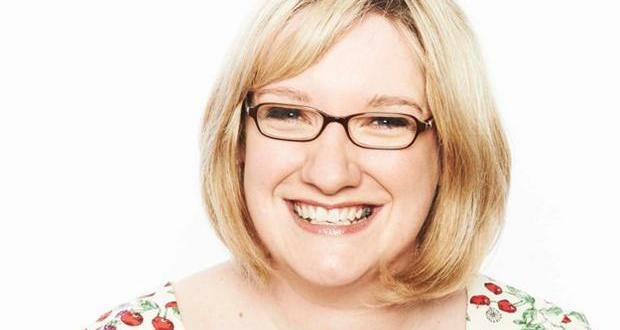 Sarah Millican will judge Thursday’s So You Think You’re Funny? final in Edinburgh. The South Shields stand-up will appear as a “celebrity judge” in the competition she finished runner-up in in 2005 – and Zoe Lyons will compere the Gilded Balloon final. Nine up-and-coming comics will compete for a £2000 cash prize and a chance to perform at Montreal’s Just For Laughs Festival. They have each won regional heats at cities throughout the UK, with a selected shortlist going through to perform at semi-finals during the Edinburgh Festival Fringe. But the finalists will have just eight minutes to impress the judging panel, which also includes comedy critics, the Gilded Balloon’s Karen Koren, and representatives from Universal, Just for Laughs and the Melbourne International Comedy Festival. Previous So You Think You’re Funny? winners include Peter Kay, David O’Doherty, Rhona Cameron, Lee Mack, Tommy Tiernan, Miles Jupp, Rob Rouse, Dylan Moran and Aisling Bea. So You Think Your Funny? is one of several competitions held during the concluding week of the Edinburgh Festival Fringe. The Malcolm Hardee Awards will be held on Friday, and it was revealed yesterday that Steve Coogan will present the prestigious Edinburgh Comedy Awards – formerly known, amongst others, as the Perrier – on Saturday.